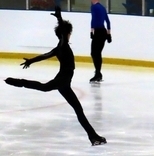 This was far more fun with Yuzu on the ice... last two times! Well, if that’s the taster of what FS is to hold with him retired, half the fun will be gone. Why can’t the other let it go and just get as wild and playful as he does? And thank god, honestly. I doubt next season will be any better, any less polarising or any more reasonably scored, but at least we will get some respite before that. True. We can have a Yuzu watch party? Or or we could watch GPF 2015 or Worlds 2017, and pretend scoring still makes sense and Javi never retired. Or or we could watch GPF 2015 or Worlds 2017, and pretend scoring still makes sense and Javi never retires. I'm all for it! Let's end the season on a good note. And where were those signed balls? So it’s officially over! I’m sad and so disappointed how FS has developed this season. 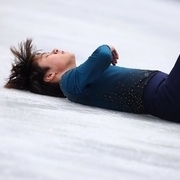 But I’m endless grateful for Yuzuru’s programs and performances. Otonal, Origin and HYK are everything to me. I cannot imagine the universe without them. Let’s watch something fun together guys!!! A YT channel posts of WTT gala. Had a small catch up on the gala. So Shoma, Keiji and ??? doing cantilever. Loved Keiji's showpiece. Such energy. He's a great watch in Galas. Morgan how you do that body/head spin with Vanessa I'll never know but it's stunning. So season's end. Going to spend it sorting my hundreds of pics n vids from ice comps and computerising myself. I'm on book 12 of competition stats n details and no cross -referencing so it'll be a much better. Watching Yuzu vids and any streaming parties a kind soul might organise. Buying (hopefully) GP Final tickets and (possibly) Worlds ones too. Should fill up the gap!!!! Back to my hols. Will watch rest of gala later. Happy holidays to all.